ProMods 2.0 is available now! Posted on December 25, 2015 | by Nico | 58 Comments on ProMods 2.0 is available now! We are excited to share with you version 2.0 of our map! After more than two months of anticipation, the release is finally here for you to pick up. Thousands of virtual kilometers of new roads to explore. 68 new cities, spread over 16 countries. 5 new major city rebuilds. 7 new countries: Andorra, Latvia, Lithuania, Moldova, Romania, Spain and Ukraine. A full scenery reconstruction of Iceland, and a scenery update of Finland and Faroe Islands. Full merge of Poland Rebuilding. Future compatibility advancements with RusMap. New country-specific road markings applied on large portions of the map. Uneven road surfaces, slippery icy roads, border stations, speed bumps and many more features to explore! Full list of the content can be found in our compatibility list. Download the new ProMods map from the link below and experience what the new generation of the ProMods map has in store for you! ProMods 1.96 is Available Now! Posted on August 10, 2015 | by Stummer | 4 Comments on ProMods 1.96 is Available Now! We are excited to share with you that the compatibility update for 1.19 is finally ready. 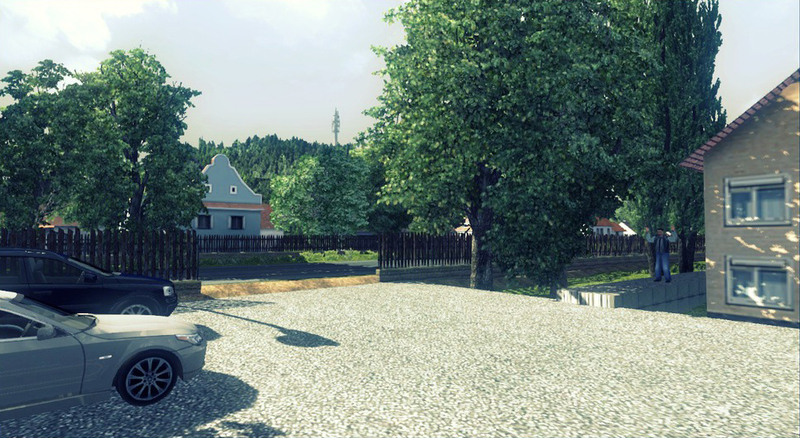 Now you can enjoy the improved ProMods Map on the latest Euro Truck Simulator 2 update! When patch 1.19 of Euro Truck Simulator 2 came out, SCS changed some file formats which required updates to map mods – again. ProMods 1.96 is mainly a compatibility update, however we also did some bug fixing all over the map to improve the quality of our work. Another issue we had to solve was that with the 1.19 update two new Hungarian cities were added to the Going East DLC: Pécs and Szeged. This pushed us to come up with a solution to connect our Slovenia to the new areas of Hungary via the Slovenian A5. ProMods 1.96 requires both the Scandinavia DLC and the Going East DLC! To update your copy of ProMods 1.96, don’t forget to create a new DEF file, since we’ve made some changes there too. We now reset our focus to developing ProMods 2.0 which will be our biggest update in ProMods history. In saying that, the current status of the project is still a huge work in progress and it doesn’t allow us to predict an achievable release date just yet. So to tame your expectations, ProMods 2.0 will not be available within the next few months. As we already announced Radol and his team joined us and Poland Rebuilding will be a permanent project in our further ProMods updates, which gives Poland the love it deserves. With the Scandinavia Merge, we combine the best out of the DLC’s Scandinavia and the former areas of ProMods’s Scandinavia – from Denmark, Sweden and Norway to Finland. 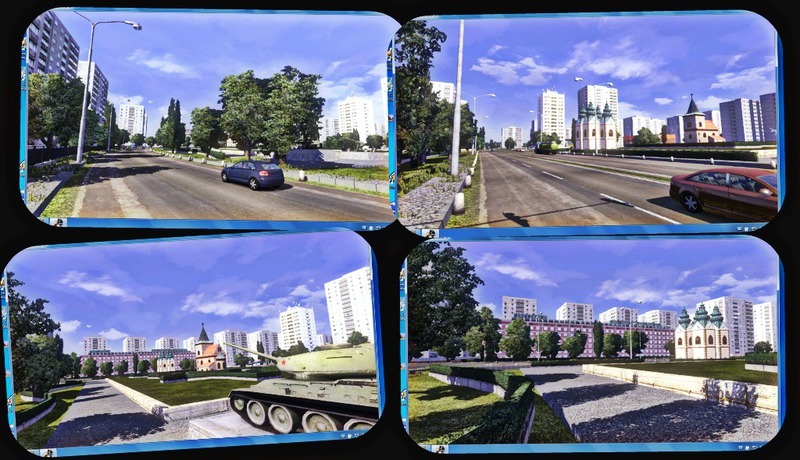 And last but not least, many improvements on roads, cities, signs and details all over the map! Stay tuned for further information by visiting the development topics on our forums or follow us on Facebook, Twitter or Google+! 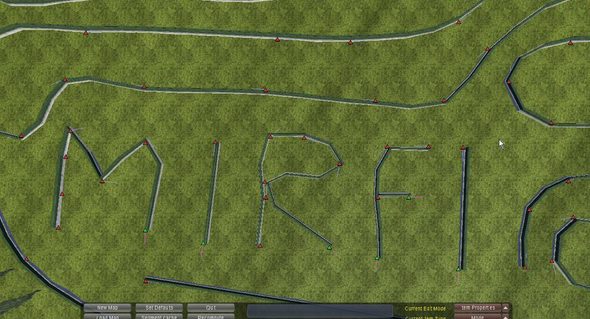 With ProMods 2.0 starting to shape up, MIRFI’s work is starting to be completed. So I thought I’d “interview” him about his work and share his answers here. Concept texts from developers is an idea we thought that would liven up the blog a bit. We’ve asked from all the developers to give us a paragraph or two about their map, which would describe how difficult it was to build it, what we can expect to see and a few opinions from the developer. In this case, we did this “interview” style so we asked some questions to the developer and got answers in return. So, without further ado, let’s have a look at his answers to our questions. 1. Why should we drive in the countries you made in your opinion? What makes them stand out from the other countries? Romania, Moldova and Bulgaria are ex-communist states with Moldova even being an ex-soviet state. These countries give a different feel from the other parts of the map. 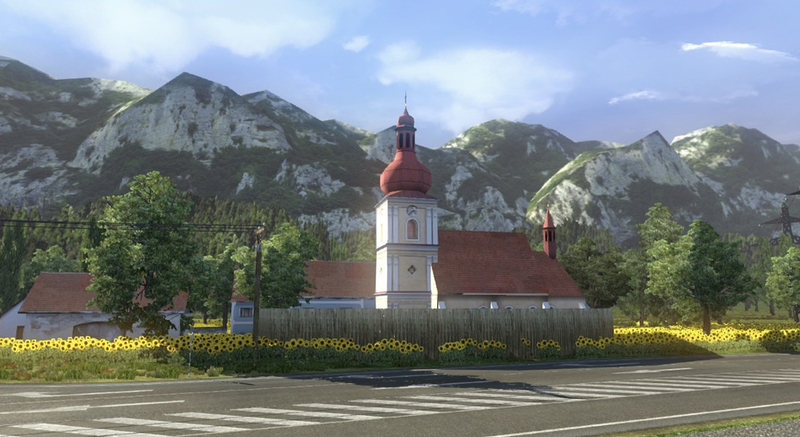 They both have different architecture styles from the rest of the countries in the Euro Truck Simulator 2 world, since they feature an unique mix of pure undisturbed rural areas and big megalomaniac cities. Romania in particular stands out with some great scenery, the Carpathian mountains and the Black Sea, all of which give this country a rather special feel. 2. What can we expect to see in Romania, Bulgaria and Moldova? Is there anything new in them that we’ve never seen in ProMods so far? Great scenery, and a lot of 2 lane roads! 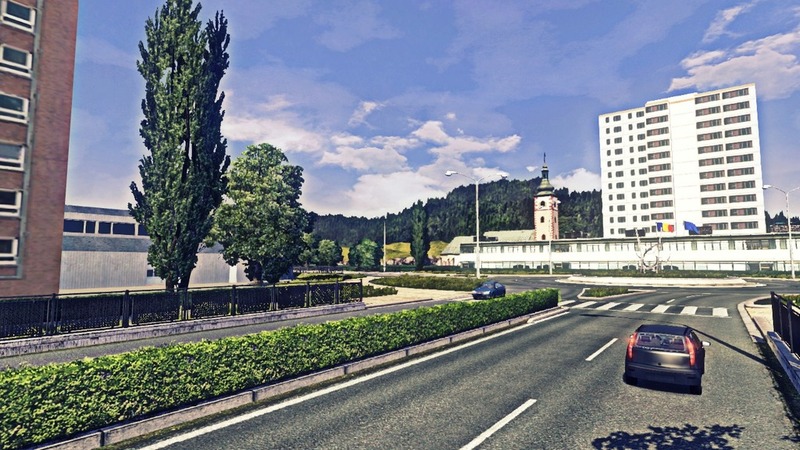 As mentioned their cities are built with a different style over the current cities in Euro Truck Simulator 2. The feeling that these cities give is very different from what we are all used to. 3. Was it difficult to build these countries? Were there any challenges along the way? Yes, it was difficult, but it was fun too. The fact that the project was restarted from scratch during the building phase (due to some technical problems) and the lack of free time that I’m confronting with didn’t really make things any easier. But it was awesome to bring my home country to the game’s world! 3. Did you enjoy building these countries? I loved it! Especially the Eastern part of Romania (the place where I live) and the Republic of Moldova. 4. Which is your favourite road/city/spot in these countries? Which place would you recommend us to go to? They all deserve a visit! Romania has it all. From endless sunny plains to 2500m high mountains. Moldova has many hills, but it’s fun to drive country too. I would recommend you though to explore the eastern half of Romania, crossing the mountain passes over the Carpathian Mountains. Don’t forget to check out Piatra-Neamț, where you’ll be able to spot the house where I live or the city of Constanța, at the black sea shore. The capital of Moldova, Chișinău, is really worth a visit too! Your donation will go towards supporting our server infrastructure and software licenses.